I have tried in vain to convince Americans that the dollar will fall - and with it the standard of living to which the consumer zombie has been accustomed. Once again, I am presenting an article which should set off red alarm bells for anyone holding dollars. Those who do not take heed may live to regret it. The 170-page report dusted off a call by the bank's governor, Zhou Xiaochuan, for the creation of a super-sovereign currency. Friday's report not only advocated a full role for the SDR but said the IMF should be entrusted with managing a portion of its member countries' foreign currency reserves. "To avoid intrinsic shortcomings in using a sovereign currency as a reserve currency, we need to create an international reserve currency that is divorced from sovereign states and can maintain a stable value over the long term," the report said. 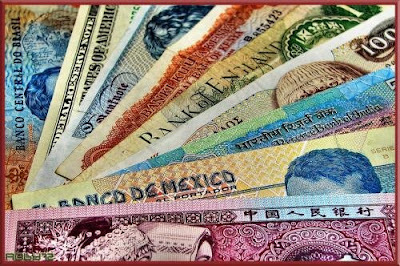 "When a national currency becomes the global price-setting currency for primary products, the trade settlement currency and the reserve currency, that national currency has great difficulty attending to both domestic monetary policy goals and the reserve currency needs of various countries. "And the economic development model of debt-based consumption is most difficult to sustain," the report said. Turning to the domestic economy, the PBOC said the slump in global trade caused by the international financial crisis would spawn risks for China's banks as exporters ran into difficulties. By weighing on incomes, the crisis might also slow China's drive to develop a consumption-led economy, the PBOC said. The central bank also said China could face inflationary pressure in the medium- to long-term as a result of liquidity now being pumped into the global financial system, coupled with extensive deficit spending by many governments.